The anti-microbial/anti-bacterial vinyl covering is great for keeping rooms germ-free and is easy to maintain in high-use environments! Sled base steel frames are strong and stable and the smooth black finish resists scuffs. Easy assembly. 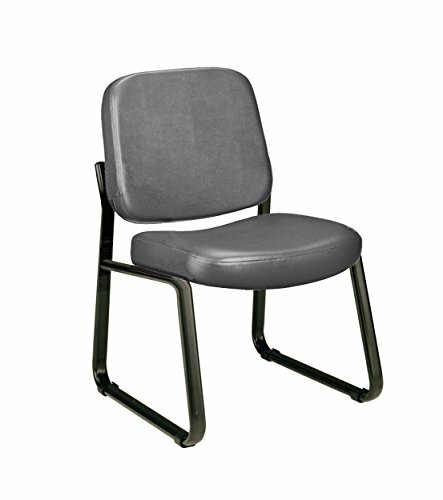 Perfect complement to our Model 403-VAM Guest/Reception Chair with Arms. Bariatric Big & Tall Chair Black/500 lbs/29"
Classic Eames Replica visitors chair in WHITE PU leather. Chrome arms with protective arm sleeves with zip available. Sold in a box of TWO chairs with FREE shipping. SAVE 18% buying 2.